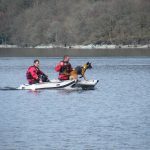 NSARDA accredited dog handlers Dave Marsh and Mike Dermody [who are also members of SARDA Ireland North] continued their epic journey of the UK last weekend ending up on the shores of Loch Lomond. 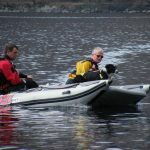 Based at Rowardennan Youth Hostel on the edge of the loch, they met up with Ken Sloan of SARDA England, two members of ALSAR and members of SARDA Southern Scotland. The aim of the journey was to participate in a ‘look see’ for the home based people and as a training exercise for everybody else present. 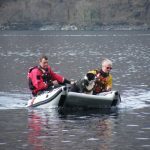 On the Saturday, Dave and Mike met with the Team Leader of Lomond MRT [David Doddson] who was quickly engaged in conversation as to how the handlers conduct a search with their dogs Sasha and Quincy for missing people suspected of being lost in water, and the circumstances in which the dogs could be deployed. 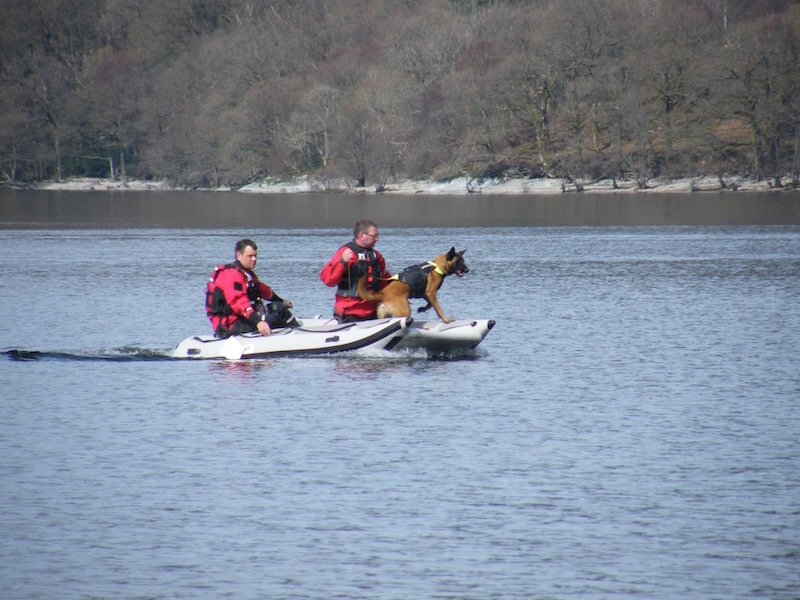 Water/bank side searches were undertaken, followed by a boat search on a known target. 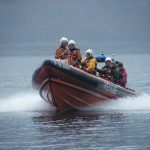 Sunday morning, all the people who were present met up with the Loch Lomond Rescue Boat and crew. Following a constructive chat, people got the chance to experience the full capabilities of the boat [see gallery below]. Upon completion of this exercise, there followed a parting of company for the long journeys back to their respective homes. 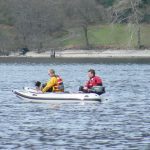 It’s interesting to note that over the last two weeks, Mike and Dave have travelled across to York/Selby and Goole to search for a missing male; Guildford for a missing kayaker and now up to Loch Lomond [with an estimate of 1350 miles travelled] supported by NSARDA and other organisations. So if there are any readers who would like to follow them in their undertakings, with the support of a donation, NSARDA would be very happy to facilitate such.